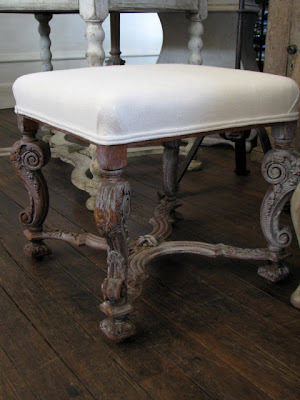 This French limed oak stool is the most gorgeous piece in our store at the moment. 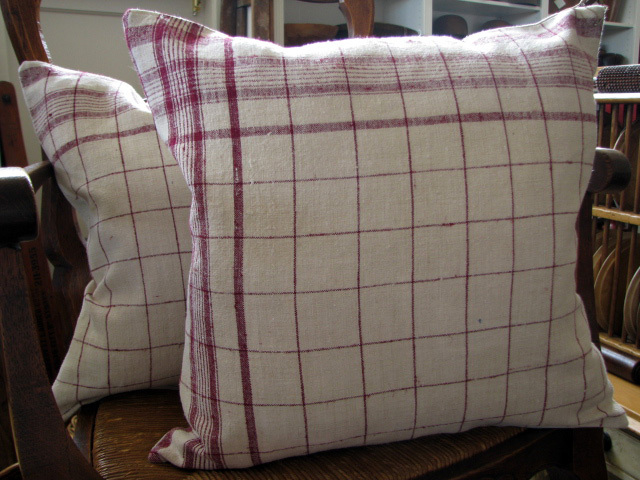 It has been reupholstered in antique Belgium linen. I think I am drawn to furniture with cross frames such as this. Oh, and limed wood it seems. But then again, who isn't? 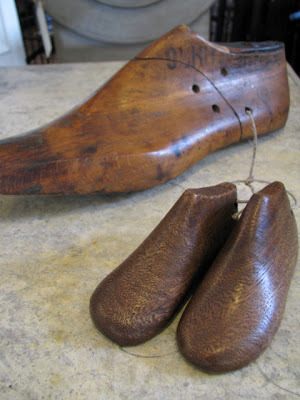 These baby shoe lasts are also new into the store. I pictured them here with an adults sized last so that you may get an idea of just how small they are. I cannot see these lasting long in the shop! 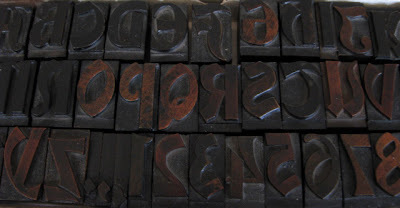 I love the patina on each and every piece of this antique printer's alphabet. The set includes some punctuation and also numbers. One would not need be too creative to make Christmas greeting cards with a set such as this. The unusual font would suit the French greeting Joyeux Noël. But then again, any writing in French looks good, I think. 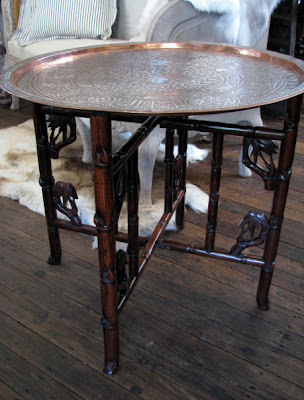 This Indian folding table is the epitome of Eastern chic. I recently took home an inlaid Indian folding table for my lounge room and I can't stop admiring it. I have placed a piece of coral on it with an Eastern lamp and it looks great. 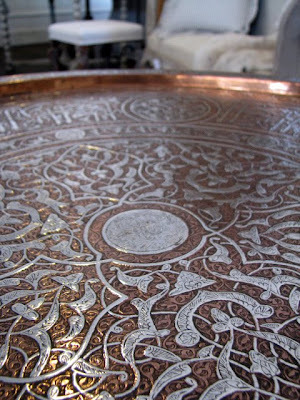 The detail in the tray top is amazing, it appears to be silver inlaid into copper and all hand engraved. Our stocks of cushions made from handwoven grain sack linen has been replenished and are in the garden room at the moment. And here is our version of Zoe Hoare's Hamptons style cushions (see previous post). 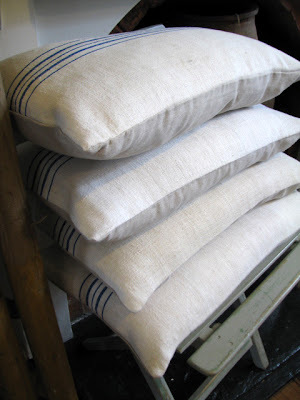 These have been made from French harvest linen, used during wine harvests to cover the outside tables. Cushions with history, now that is what I like! The table top is beautiful!